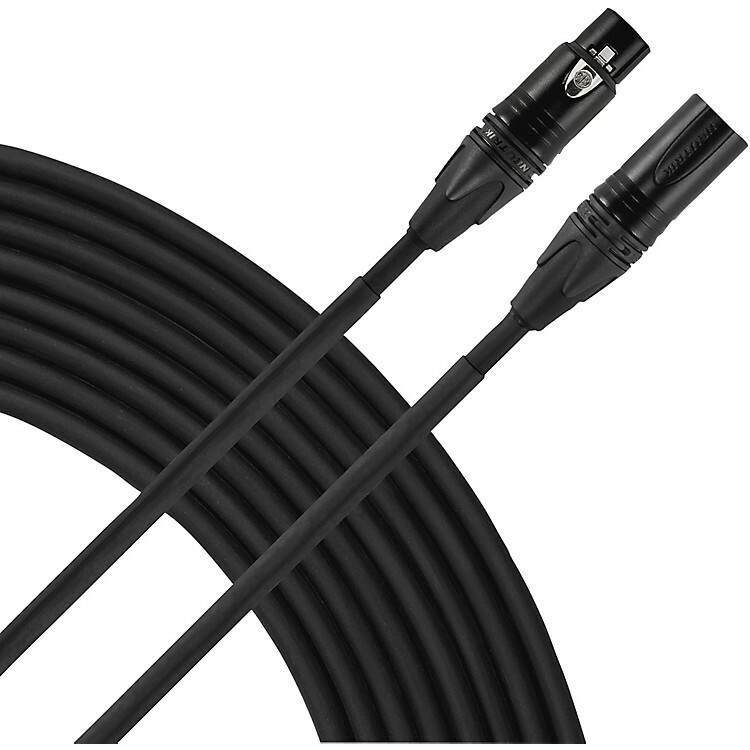 Microphone cable with silver-plated Neutrik connecters, 20-gauge dual conductor design; braided copper shielding (85% coverage). Internal chuck strain relief, a sealed boot and a heavy PVC jacket provide rock-solid reliability in the studio or on stage. Livewire Advantage Series represents ruggedness and reliability without compromises in clarity and detail for studio, stage or broadcast. Protects against RFI and EMI interference. Quality microphone cable for professional applications. Order today.